June 2014: The Engineering test ties located on the NYSWR in Lafayette, NY now have 10 years of service on them. a grant from the State of New York. already includes patent no. 5996901. 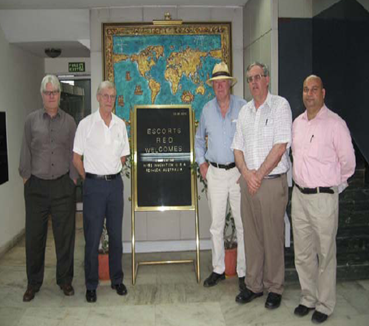 March 2010: NPG team travels to New Delhi, India to discuss TireTie opportunies in India. January 2010: NPG ships 10 engineering rail ties to India for RDSO evaluation. December 2009: NPG ships 210 noise barrier ties to Colorado DOT. 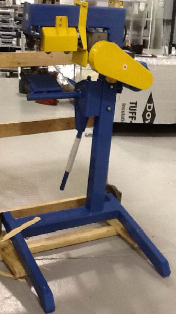 November 2005: NPG delivers NPG designed 2 axis dynamic test machine to RIT for their use to test NPG cross ties. February 2005: NPG was Awarded a New York State Grant for the further development of the TireTire. .June 2004: NPG installs 4 engineering test ties on the NYSWR in Lafayette, NY.